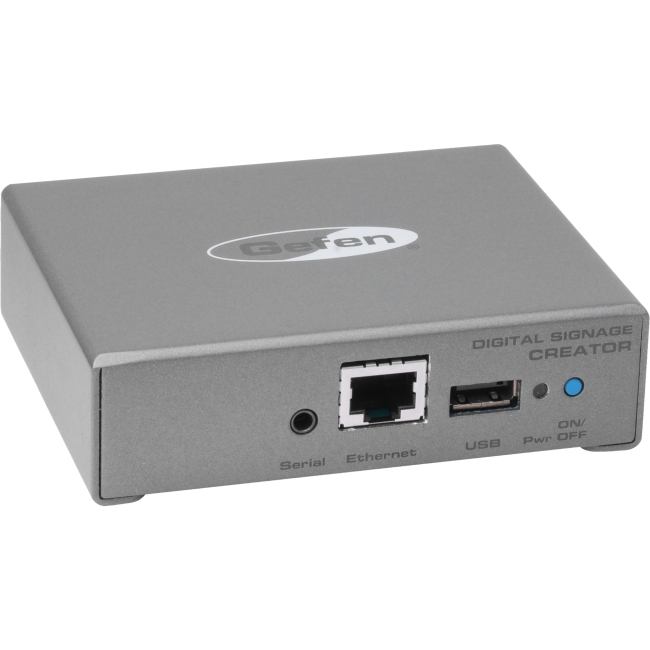 The Gefen Digital Signage Creator (DSC) product provides infinite possibilities to digital signage designers. Based on an SVG (Scaled Vector Graphics) design and web template concepts, this compact product is limited only by the creativity and imagination of its user. The Digital Signage Director (DSD) software that comes with the DSC unit is flexible, easy to use, and allows control over every aspect of the player's behavior. Importable content includes not only simple video and audio files, but RSS feeds for news, weather, public announcements and live video streams. Scheduling of playlists and management of all the timing functions are also included with native support for iCal.